Five years after the 2011 Tohoku earthquake, tsunami and nuclear meltdowns, Fukushima Prefecture is still struggling to recover. However, one group of talented individuals is working toward recovery by promoting an important local handicraft in a stylish way—with a range of cotton sneakers. The fabric used is called Aizu cotton, which has a fascinating history that goes all the way back to the 1600s, when a feudal lord stipulated that wives and daughters of samurai warriors should take up weaving as a side job. As a result, a distinctive type of woven cotton was born, becoming immensely popular for its striped design, often dyed with indigo, and its durability, which led to it being used in everyday kimono. Fukushima once boasted hundreds of Aizu cotton-producing factories, but now only two producers remain. 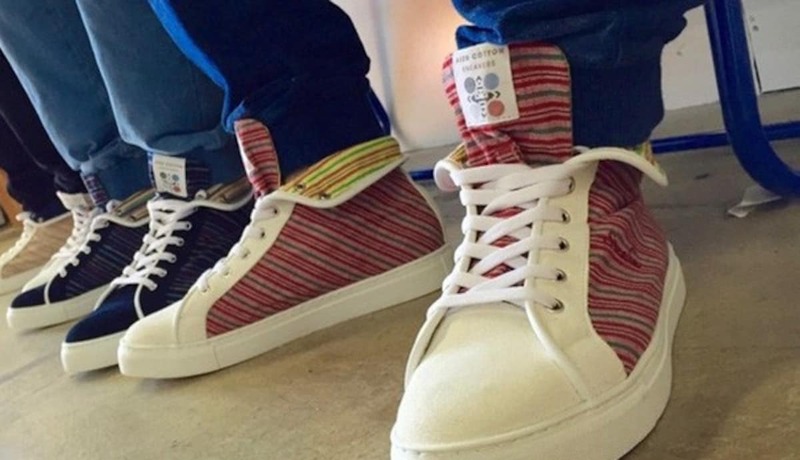 This new range of sneakers aims to incorporate the popular kimono fabric into more modern forms of everyday wear to keep the local tradition alive. The group behind the project posted its designs on Japanese crowdfunding site Makuake to help fund its production, and the goal of ¥1.6 million (US$14,990) was already exceeded nearly three weeks before the deadline. Each pair of sneakers contains a different-colored Aizu cotton lining, which adds an interesting accent to the high-tops when the sides are pulled down. ...and the rubber soles are hand-sewn onto the shoes, which makes for a high-quality, handcrafted product. 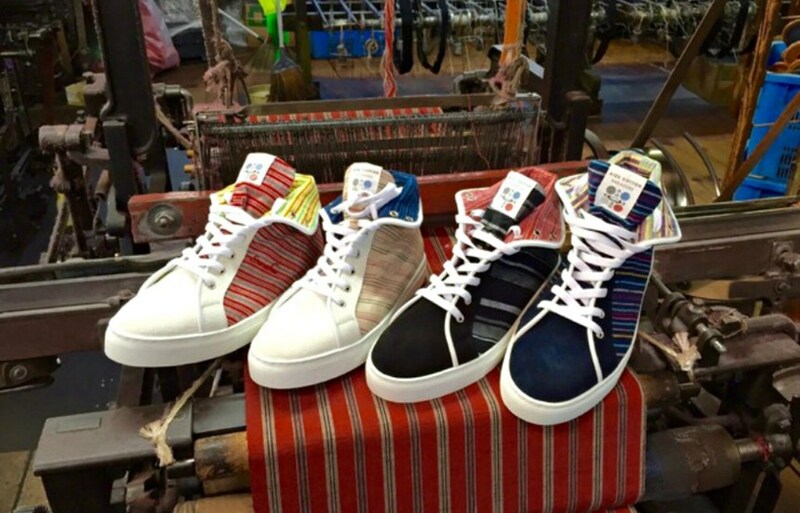 With every part of the shoe put together by locals, this is a truly innovative project driven by members of the community dedicated to furthering their local textile manufacturing traditions. While the shoes are set to retail for ¥19,800 plus tax, supporters can pick up a pair in return for a ¥16,000 pledge now on the crowdfunding website.